Reclamation District No. 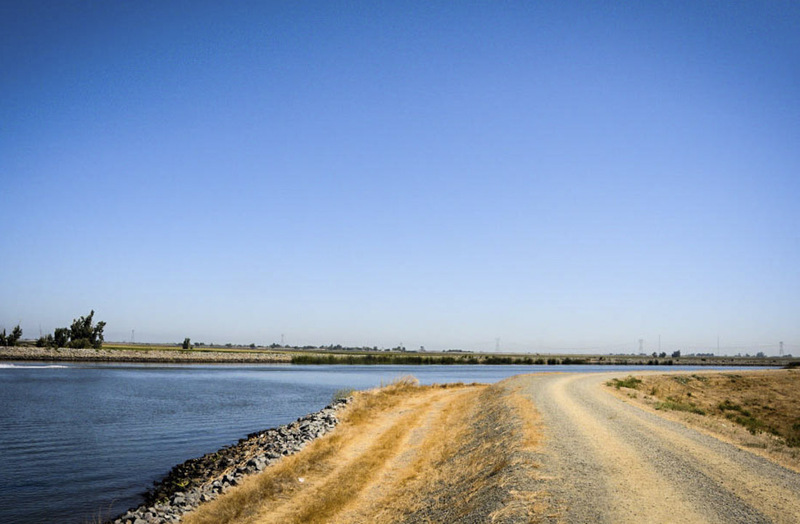 800 (RD 800) embarked upon two major levee improvement projects in 2009: the Western Levee Improvements and the Urban Levee Improvements. 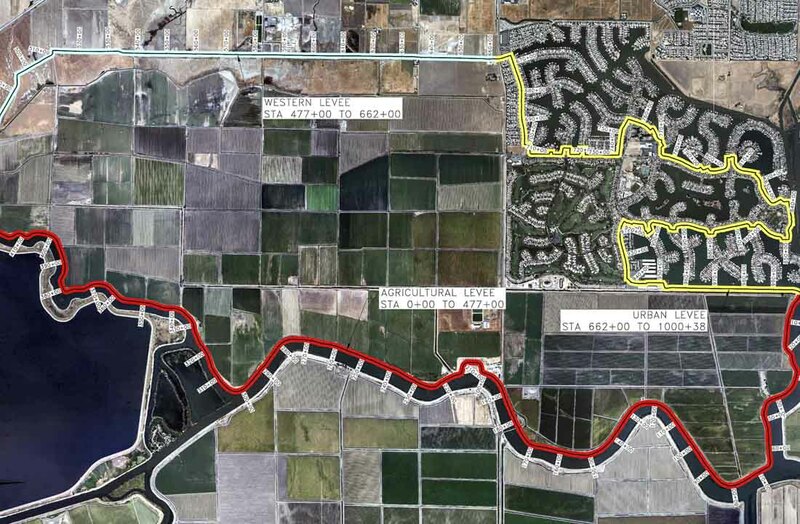 The purpose of these projects was to raise segments of the levee system in order to meet minimum freeboard criteria above the 100-year Base Flood Elevation (BFE). As the District Engineer, Kjeldsen, Sinnock & Neudeck, Inc. (KSN) provided all surveying, mapping, and civil engineering for the projects. 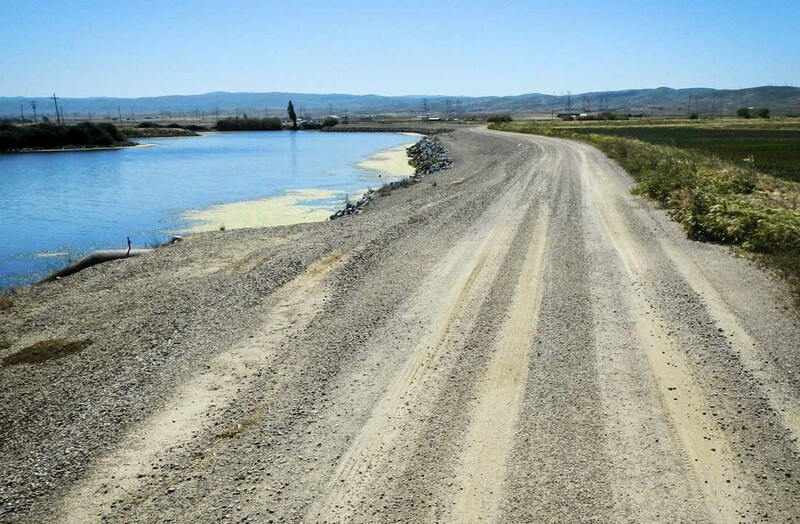 The Western Levee Improvements were located in a rural setting and consisted of raising ±11,300 linear feet of existing levee by constructing imported levee embankment fill material. In addition, ±1,400 linear feet of cast-in-place concrete floodwall was installed to minimize disruption to residential improvements located adjacent to the project. The Urban Levee Improvements were situated within the urban development of Discovery Bay and consisted of installing a total ±400 linear feet of cast-in-place concrete floodwall spread out over 7 different lots. Design and construction on a different set of existing encroachments such as docks, decks, patios, landscaping, etc. proved to be challenging but was managed by addressing each lot (and homeowner) on an individual case-by-case basis. 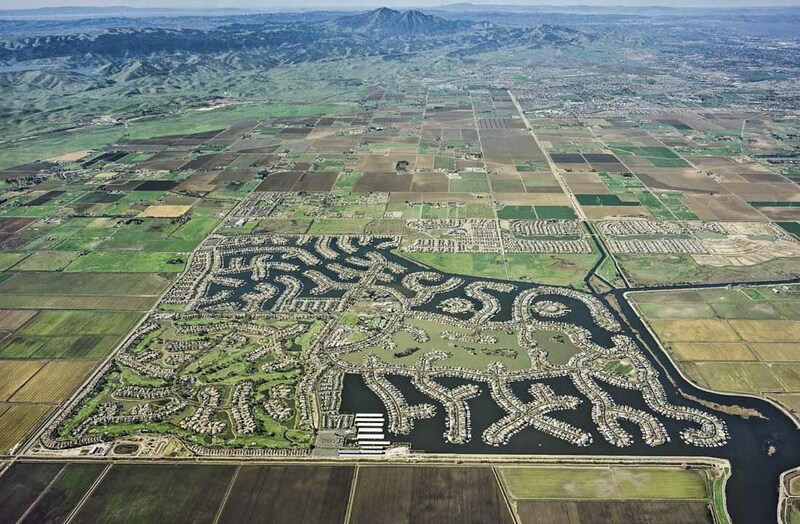 The submittal of a Letter of Map Revision (LOMR) was required in order to update the Provisionally Accredited Levee (PAL) status of the district’s levee system. Upon completion of these levee improvement projects, KSN began the task of compiling all the necessary LOMR documentation including full topographical surveys, interior drainage, geotechnical, operations and maintenance, etc. KSN submitted a LOMR for the ±19 miles of RD 800 levee system to FEMA and subsequently was notified that this levee system has been fully accredited as “providing protection from the 1-percent annual chance (base) flood” to over 5,700 acres of land. In addition, KSN submitted a LOMR-F for the over 2,000 peninsula lots located outside the levee but built up on fill and subsequently was notified that the structures on these lots “are not located in the Special Flood Hazard Area”.